home Health Now Hear This! Just as overexposure to the sun in our developing years can lead to skin cancer later in life, overexposure to noise in our teens, 20s and 30s can lead to hearing loss later in life…and sometimes more immediately. Coronado audiologist Dena Riso of Coronado Hearing Center is sounding a warning to teens and young adults: if you want to protect your hearing for a lifetime, be mindful of your exposure to sustained noise — and it doesn’t have to be at high volume — in your younger years. Riso lectures to middle school and high school students throughout San Diego County, warning them of the long-term hazards of having music constantly piped into their ears through earphones and earbuds attached to iPods and smart phones. School bands, garage pick up bands and rock concerts are contributors to hearing loss, but Riso noted that there are hearing protection products that allow people to participate and hear the music while protecting the inner ear. Other factors that can lead to hearing loss include genetics, earwax buildup and medications, including chemotherapy. Traumatic hearing loss creates immediate loss of hearing and can happen, for example, with exposure to a firecracker going off in close proximity. Members of the military, exposed to shelling and gunfire, or heavy equipment operators have higher incidents of traumatic hearing loss, Riso noted. Riso operates Coronado Hearing Center at 171 C Ave., at Dr. Dill’s Health & Wellness Center. 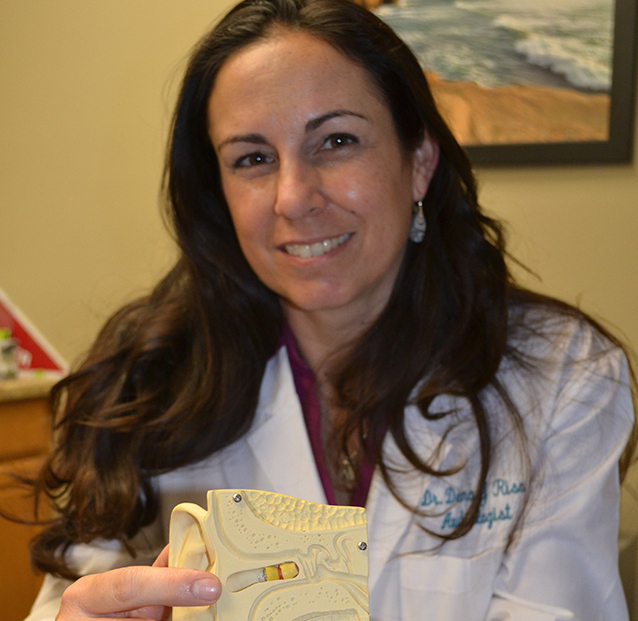 Her experience as one of San Diego’s top audiologists includes her externship within the VA system and a staff position with a national hearing-care retail chain prior to opening her own practice in Point Loma in 2010. She added a second office in La Jolla in 2011, followed by the Coronado office in April 2014. 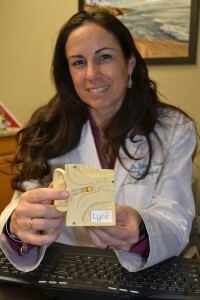 She completed a four-year doctoral program in audiology at A.T. Still University in Phoenix in 2007. As an audiologist, she is well versed in hearing, balance and tinnitus (ringing in the ears) issues. Riso and her staff’s highest priorities are patient care and service. “Our offices are independent and we are free to direct our customers to the products that will work best for them,” Riso said. She advised that people need to take their time when considering a hearing aid. At Riso’s office, a seven-step process to evaluate hearing includes an initial hearing test done in a hearing booth. The patient is then given a copy of the results. “It’s all part of a free 60-minute initial consultation,” Riso said. Riso also provides her patients with complimentary two-week no-obligation trials of hearing aids, which typically range in price from $1,600 to $3,000 per ear. Hearing aids have become smaller, too, a development that eases self-consciousness issues. “Some are so small you can’t see them,” she said. Yes, it’s true, good things do come in small packages. Dr. Dena Riso of Coronado Hearing Center points to a tiny hearing aid that fits into the ear canal and is almost completely invisible. It’s one of several options for hearing aids now on the market.